Need something to eat that's quick, easy and won't derail your weight loss goals? 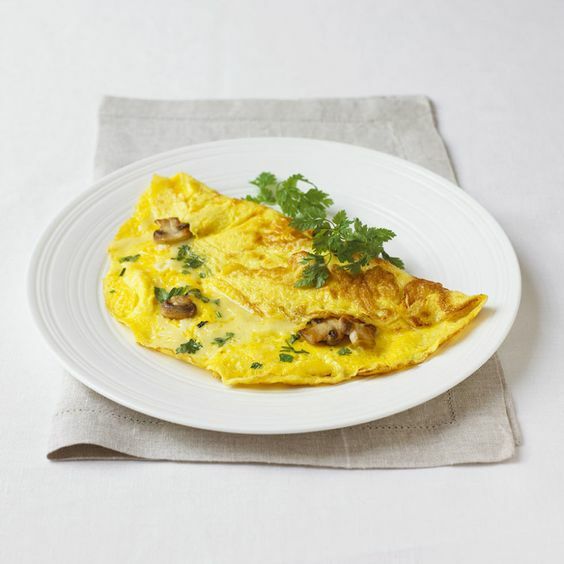 This red onion and button mushroom omelet provides a filling healthy breakfast with lots of flavors but still easy and fast to whip up. Put some vegetable oil in a pan and heat it. Add your red onion, green bell pepper, and garlic and allow this to sauté until soft and fragrant. Add your sliced button mushrooms and let this cook down for about 3-5 minutes until they slightly soften and shrink. Remove from the heat and set aside.